In this study, the samples of the spatial soil and organs of the grapevine (Vitis vinifera) cultivar Tamjanika were collected from the selected zones near the Mining and Smelting Complex Bor (East Serbia). They were analyzed by ICP-OES to determine the content of Cu, Zn, Pb, As, Cd, and Ni with the aim of ascertaining if these data may help in the assessment and improvement of the quality of environment in polluted areas such as Bor and its surrounding area. The results obtained from the calculated biological and enrichment factors, as well as from the Pearson correlation study and hierarchical cluster analysis confirmed that very useful information is recorded in plant organs: root, stem, leaves, and fruit. Yet, when the atmospheric pollution is the sphere of interest, the most informative data are found in unwashed leaves. The results of this study indicated also that the investigated plant species has some highly effective strategies involved in tolerance to the stress induced by heavy metals, which makes it an excellent candidate for phytostabilization purposes. Planting of this grapevine cultivar can be recommended in all areas that are severely polluted with heavy metals. Significance: This research gives evidence that the plant parts of grapevine (Vitis vinifera) cv Tamjanika can give useful information which may be used for biomonitoring purposes. 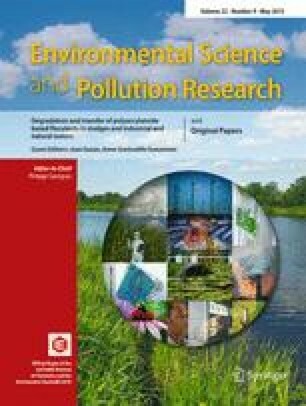 At the same time, the obtained results represent a very first insight into the capability of this cultivar to assimilate heavy metals from highly polluted environment and indicate that cv Tamjanika develops some highly effective mechanisms to protect its tissues from heavy metal phytotoxicity. It is an excellent candidate for phytostabilization purposes. Authors are grateful to the Ministry of Education, Science and Technological Development of Serbia for the financial support (Project No. 46010).